Since its creation in the fall of 2013, the Nutrition On Weekends program has grown to help more than 450 local children whom are facing food insecurities in their home. The program provides supplemental food packs for children to take home on the weekend throughout the school year. Last year, the NOW program served children in the Marshfield, Auburndale, Granton, Greenwood, Loyal, Pittsville, Spencer and Stratford School Districts. The program also served children at the Marshfield location of the Wood County Head Start program. All schools will be served in the 2018-19 school year. The communities' support of this program has been wonderful and has made it possible for the program to grow into what it is today. 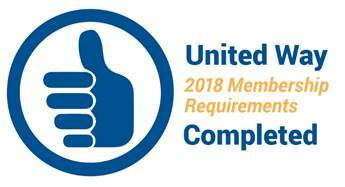 To continue the success of the program, United Way has created a sponsorship form as another way to support the program. There are 34 weeks during the school year that a child receives a food pack to take home for the weekend. To sponsor a child for the entire school year costs $78. Each food pack contains: 2 peanut butter and jelly sandwiches, 2 cups of cereal, 2 pieces of fresh fruit, baby carrots, and 2 snack items. Below is the breakdown of and average cost of one supplemental food pack. Please use the form below if you would like to sponsor a child in the upcoming school year. Please enter number of children you are sponsoring. Please enter number of weeks you would like to sponsor one child. Please select what payment option you prefer. If you choose cash or check, please drop off at the United Way office at 156 S Central Avenue or mail check to PO Box 771, Marshfield, WI 54449.